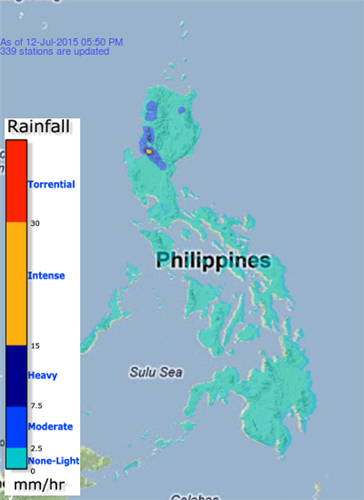 7:25PM Light to moderate with occasional heavy rains affecting Zambales, Tarlac,Bataan, Nueva Ecija and Bulacan. May continue for 2-3 hours. As of today ,there is no Tropical Cyclone within the Philippine Area of Responsibility(PAR).